As a blogger it is important to look for different ways to monetize your blog. 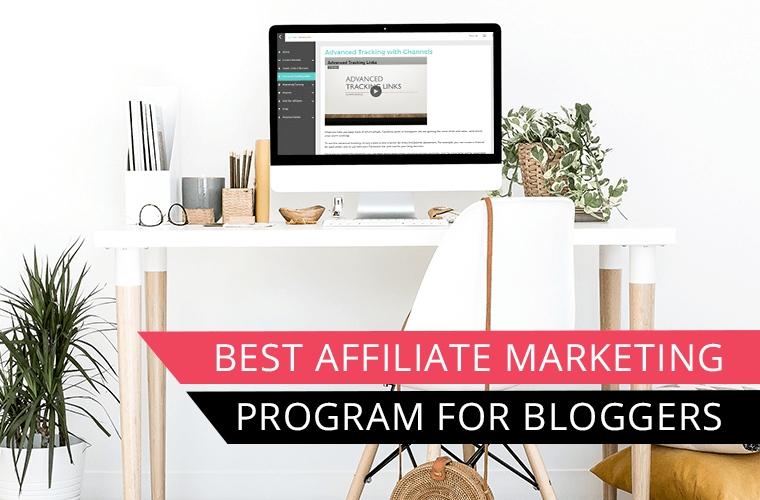 One of the best ways to start monetizing your blog is through affiliate marketing. Your job as an affiliate marketer is to create helpful content and link to relevant affiliate products within your blog posts. When someone click on your affiliate link a “cookie” is stored in their browser with your unique affiliate id and when they go to make a purchase the sale is attributed to your affiliate id and you can make a commission off of their purchase. All you have to do is promote products and make money! Sounds like a pretty sweet gig! A little caution before you jump right in and start adding affiliate links to all of your posts. You should know that affiliate marketing isn’t as easy as just slapping a few links within your blog posts and making money. There is definitely an art to affiliate marketing. Sometimes the tricky part is figuring out how to sell to your readers without coming across as too pushy. If you are new to affiliate marketing and ready to get started this course on affiliate marketing offers a great foundation on setting your blog up for success with affiliate marketing. On the other hand if you have been using affiliate marketing for a while, but feel you are just not making any significant progress then this course offers more advanced affiliate marketing strategies especially when it comes to being effective with email marketing and using affiliate links (although I would still recommend it to beginner affiliate marketers). 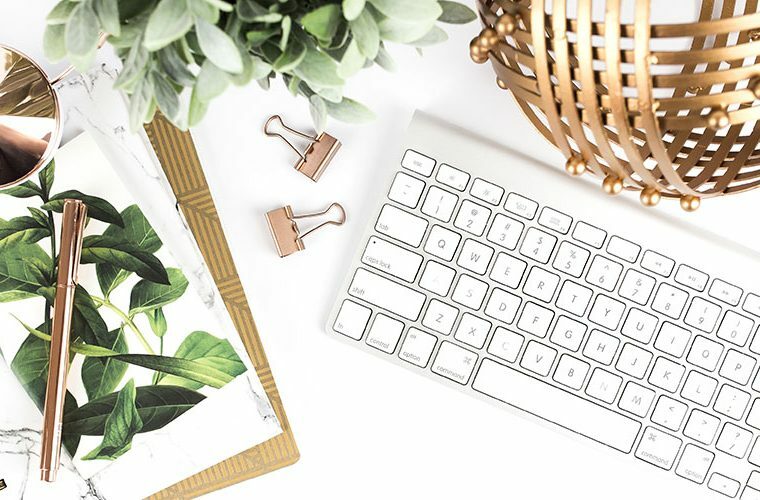 Now before you start adding affiliate links to your blog there are a couple of best practices that you should be aware of when using affiliate links. 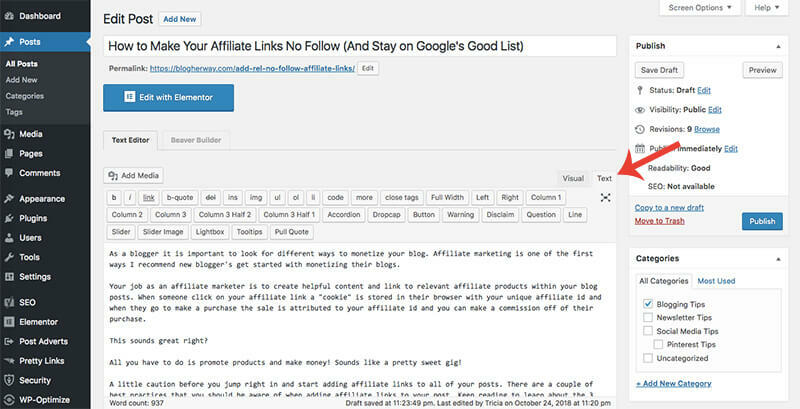 Keep reading to learn about the 3 things you should do with every affiliate post and specifically how to make your affiliate links no follow to stay on Google’s good list. With every affiliate link you create you should make it a no follow link. What is the difference between a “do follow” and a “no follow” link? The distinction between a “do follow” link and a “no follow” link has to do with Google and how they crawl your website and link you to other websites. One of the ranking factors Google uses to determine where you rank in search results is your authority and the quantity and quality of websites that link to your content (i.e. backlinks). A good backlink is one that comes naturally where another website decides to link to your content because your post offered relevant information to their reader (Google would consider this a do follow link). When you add an affiliate link to another website this is NOT a natural link. Because you have “financial motive” behind that link you need to let Google know that they shouldn’t follow this link or count it as a backlink for that website. To make a link no follow you need to add additional html code: rel=”nofollow” to your affiliate link. 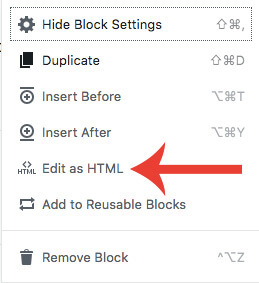 When creating your post in WordPress in the classic editor you need to click on the text editor to modify the html code for your page. 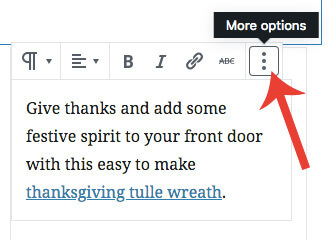 With the new Gutenberg editor you will click on the three dots for more options. From the options select Edit as HTML. You will notice that I added rel=”nofollow” in the code after target=”_blank”. The target attribute is used when you want to open the link in a new window and you can select this option when adding the link in WordPress. Just place the rel=”nofollow” code after this. 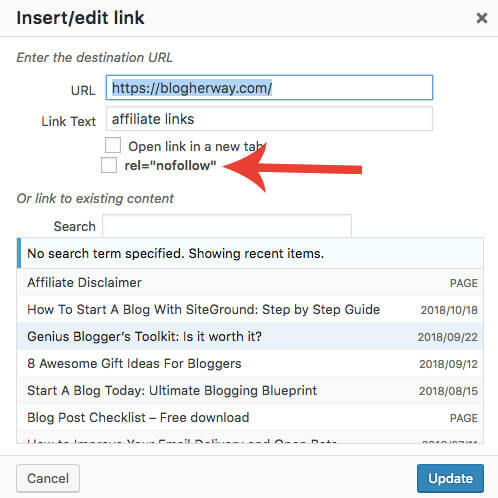 If you don’t want to mess with adding the code manually each time for every affiliate link you can use the rel nofollow checkbox plugin. When you go to add a link to your post click on the link icon and then select the gear icon to see the link details. The plugin adds a checkbox with rel=”nofollow”. Each time you create an affiliate link check this box and then you don’t have to mess with adding any code manually. Before including any affiliate links you need to include an affiliate disclaimer. An affiliate disclaimer is a simple statement that lets your audience know that you could be compensated if they click on your link. The FTC (federal trade commission) requires that this statement appear before any affiliate links are used on the page. One way your reader may interpret this statement is that you may be recommending these products because you want to get paid not just because you think it is the best product for them. This is usually not the case, but this is why you need to include an affiliate disclaimer because your audience needs to know that you might just be recommending this products for financial gain. I do not recommend this. Make sure you are recommending good products that can actually benefit your readers. With the affiliate disclaimer you want to make it clear to your audience that the post contains affiliate links and that you may receive a commission if they click on the link. At a minimum you need to acknowledge that the post contains affiliate links and then in my case I have chosen to direct the reader to my affiliate disclaimer page where I go into more detail about what this means. 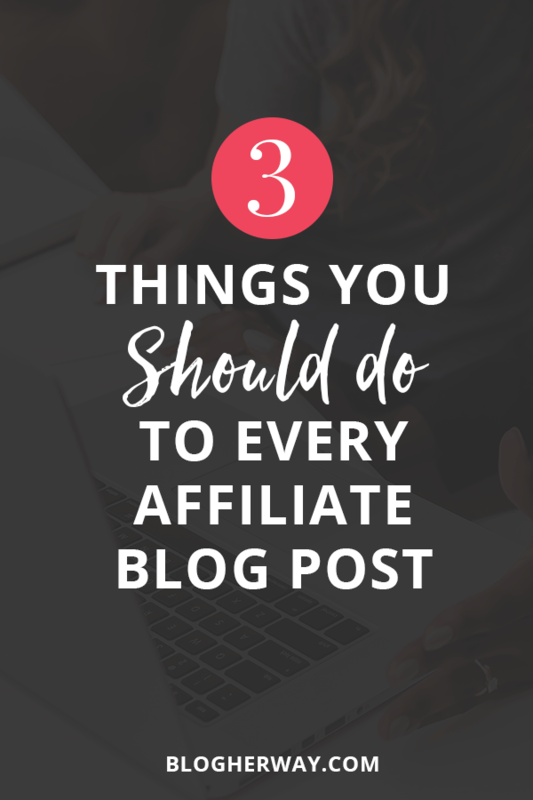 Check out the 3 things you should do to every affiliate blog post! 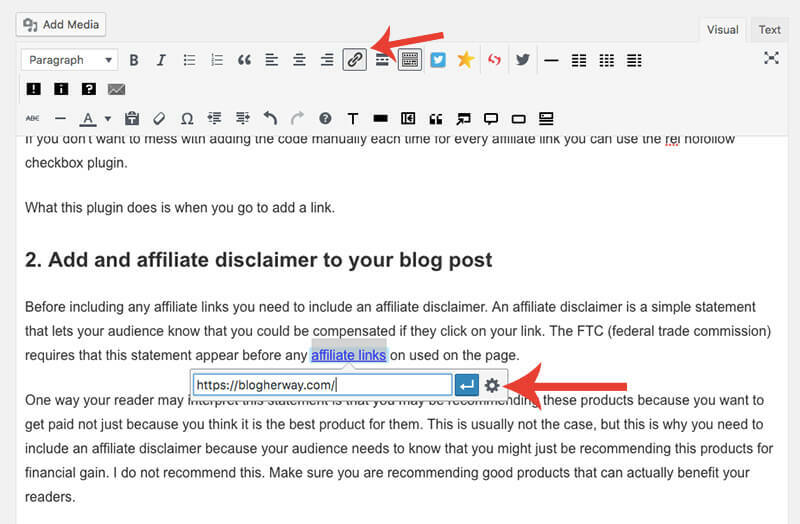 There are a couple of ways you can add an affiliate disclaimer to your blog post. You could choose to manually place it where you want it to appear in each blog post or you can use a plugin. 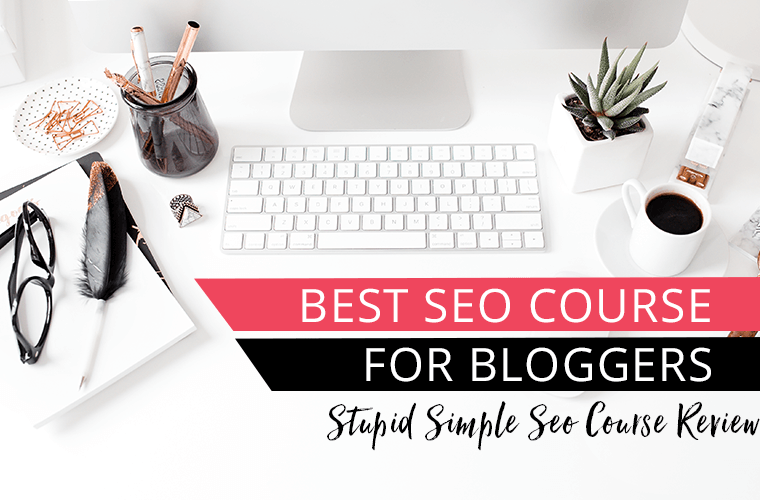 I initially started doing it the manual way, but then I decided I wanted to streamline my process with a plugin and not have to add the same bit of text each time to every blog post. In your WordPress dashboard click on Plugins from the left hand menu. Click to add a new plugin and search for FMTC Affiliate Disclosure plugin. 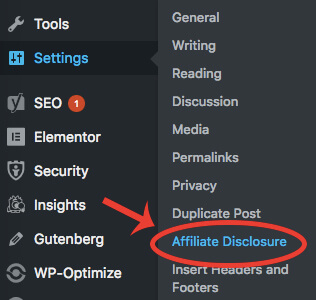 After the plugin is installed and activated go to settings in the left menu and select affiliate disclosure. They have a default statement you can use, but you have the ability to modify it and add html. If you want to link to your affiliate disclaimer page then you will want to add html code specifically the <a> tag (anchor tag) to allow for a clickable link. This final piece of advice separates the newbie from the experienced affiliate marketer. Make sure you use advanced tracking links with your affiliate links. What is an advanced tracking link? Not every affiliate program may give you the option, but an advanced tracking link is a customized link that you can create to help you understand where your conversions are coming from. If you are promoting Product A in 3 different blog posts you should create a different custom link for post A, post B and post C. As you begin to make sales you can see where your conversions are coming from. As you create these advanced tracking links make sure you have a naming system in place that you can understand. For every one of my blog posts I have assigned a post ID number. When I go to create my customized link I include that post ID. This way in the conversion report I can understand what blog post the link came from that they clicked. 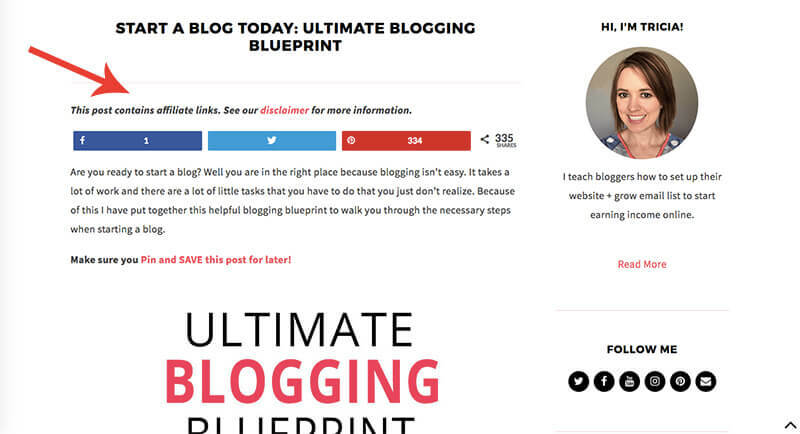 Ultimately you want to see if one blog post converts better than another. Amazon Associates is a popular affiliate program for bloggers. (let’s be honest it is really easy to link to them because they have a wide variety of product selection). When you use an amazon affiliate link in your blog post you should create a unique product link for each blog post. This way you can understand where your conversions are coming from. After logging into your Amazon Associates account click on Product Linking and select Link to Any Page from the drop down menu. Next enter the URL of the product you want to link to and name your link. This is where you will use your special naming convention that helps you understand where this link will go. Click on get HTML to get your unique affiliate link. I know this requires some extra work on your part, but it will be worth it. 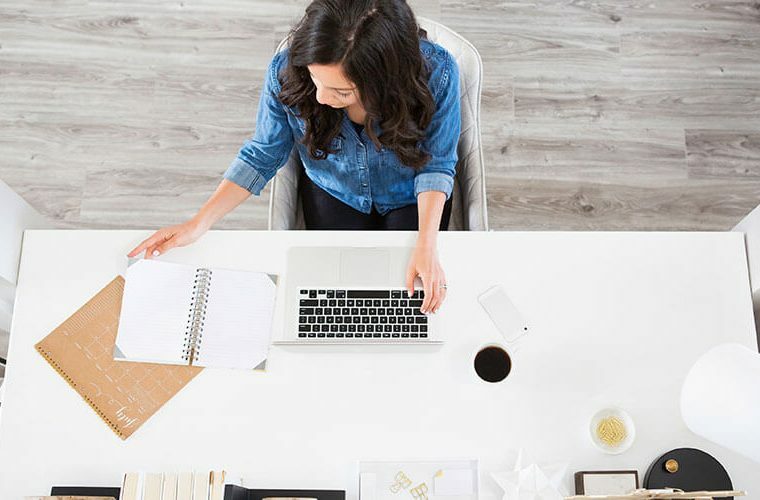 Having the knowledge of knowing what blog posts are converting and which aren’t can help guide your strategy and understanding your ROI (return on investment). I hope you found this post helpful and that you feel a little more comfortable with affiliate marketing. If you want to learn more about affiliate marketing I highly recommend this course to get your foundation going with affiliate marketing and this course if you want more advanced affiliate marketing strategies. Looking for more tips on how to monetize your blog? 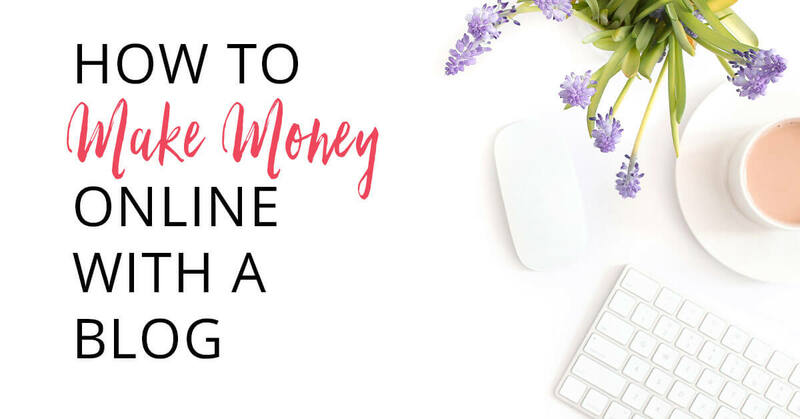 Check out this post on how to make money online with a blog where I discuss the 8 most common ways to monetize your blog. Hi Tricia, Thanks for this I will have to do this on the few affiliate link that I have. Was not aware of this. Great post for New bloggers Like me. Serena, I’m glad I could help! Thank you for these tips and instructions on how to better track my affiliate links! I’m currently working on enough content to launch my blog. These tips will definitely come in handy from the get go. Super useful post for beginner bloggers like myself! Kristina, I’m glad I could help. It is tough as a new blogger there is so much to learn! Important part is just getting pushing forward. You will make mistakes and learn from them! !